It’s easy to become overly focused on digital printing technology at the expense of offset. The vast majority of printing is still performed on offset presses. Depending on the figures you cite, digital accounts for something less than 10% of the overall volume. Of course, its take of the number of actual jobs is far higher. We’ve seen a massive drop in overall printing volumes this century, but printers know that offset investment still makes good sense when the business is there. Voting is underway in the PIAA board elections, with members in Victoria and Tasmania choosing between two candidates on the ballot in each state. We spoke to two candidates who weren’t available for comment on Wednesday when the ballots were announced. Finsbury Green CEO Peter Orel, who’s running in Victoria, and AIW Printing founder Peter Clark, on the ballot in Tasmania, both called for more focus on the membership. Orel and his brother Mark co-own Finsbury Green – a leading marketing services, printer and logistics provider described as Australia’s premier green printer. He’s been with the company for over 30 years and CEO since 2007. Finsbury started in 1984 with nine employees and has expanded to a staff of 160 operating in three states. Orel, who is running against former PIAA Victoria state secretary Ron Patterson, says he threw his hat into the ring only after the last minute withdrawal of Victorian-based board member Kellie Northwood. “I decided to run primarily because Kellie Northwood decided not to run. While Kellie was there I was confident in her ability but in her absence I believe I can add value to the board because of my experience in our business and the industry and also as a board member of Two Sides Australia. Tasmanian nominee Peter Clark, just back from the ASEAN newspaper printers conference in Vietnam, says he’d like the PIAA to launch a membership drive in his state. “We’re a small state of about 500,000 people but we have lots of potential members and I’ll be knocking on their doors in the coming weeks to try to get them interested in joining up,” says Clark, who’s on the ballot against Martin Guilliamse, GM of Hobart’s Mark Media. Clark moved back to Tasmania a couple of years ago after 38 years in Melbourne but he continues consulting work for AIW Printing, where his son Richard is now CEO. The ballot opened on Thursday, 29 September 2016, and closes at 10:00 am (AEDT) on Thursday, 27 October 2016. All seven sitting PIAA directors who sought reappointment have been returned unopposed. They are: Kieran May – ACT; Matt Aitken – NSW; Walter Kuhn – Queensland; Peter Lane – South Australia; Graham Jamieson – Western Australia; Chris Segaert – National; John Scott – National. David Simpson Graphics (DSG), a prepress supplier to the flexographic printing industry, has enjoyed a dramatic lift in business after providing its staff with the latest Esko solutions. DSG supplies a wide variety of prepress solutions to businesses nationwide that includes HD Flexo plates for wide web and label; specialized plate mounters for corrugated plate mounting; Epson digital proofing systems; and screen print film and thermal imaged film; dry offset plates; varnish plates for offset and for letterpress platemaking; and conventional flexo plates for corrugated printing. Designed to address high-quality flexo applications, the CDI Spark 4260 is positioned in the flexible packaging and folding carton markets, with inroads also in corrugated. “Our relationship with Esko goes back to 2000, when we started,” says Barron. “We have had an Esko workflow from the start. We started with an Esko image setter and the Spark is our latest purchase. This has helped us dramatically. It has opened up new business for us. This helps us service the wide web and label customers especially high-end label printers. “The Esko equipment is a big part of our plans for the business to grow. We look forward to offering the printers nationally with high definition printing plates and quality prepress. Based in Melbourne, we service the whole country. Our plates go all around Australia. Belgium-based Esko is a global supplier of integrated solutions for the packaging and labels, sign and display, commercial printing and publishing industries. The Adelaide blackout forced News Corp to take the ‘unprecedented’ step of printing The Advertiser newspaper in Melbourne and trucking it to Adelaide overnight. Power across South Australia went out just before 4:00pm yesterday and prevented the printing of the Thursday edition of The Advertiser at the Adelaide Print Centre. Staff were putting together the paper when the presses at Mile End were completely shut down. A back-up generator allowed the paper’s website and the newsroom to continue operating on half-power. “We made the unprecedented decision to print as many newspapers as possible in the News Corp Melbourne print plant and truck to Adelaide overnight,” says Dan Demaria, GM of marketing and circulation, The Advertiser. The trucks were due to begin arriving in Adelaide at around 9:00am today. When power came back on at the Adelaide Print Centre at 10:30pm last night, the paper decided to print home delivery copies there, with left-over copies sent to retail outlets this morning. “We are endeavouring to deliver as many newspapers as possible to a number of retail outlets from 9am Thursday. Delivery is also expected to be impacted by further extreme weather expected to arrive Thursday morning, says Demaria. “Regrettably, we have been unable to deliver to our country customers due to the extra delivery time required or home delivery customers given that our Melbourne plant lacks the ability to flat wrap newspapers. Overnight TV ratings show Seven News drew 1,000 viewers in Adelaide while Nine News recorded a zero figure, with almost everyone in the State unable to watch TV, according to a report in Mumbrella. VoPP Mag is a mixture of Australian, New Zealand and international content exploring how print is being used to drive successful marketing outcomes. The magazine includes interviews with the editor of Australian Vogue discussing why Vogue is a powerful print publication and looks at positive outcomes achieved through the marriage of digital and print. VoPP Mag also explores how brands are using print as part of their multi-channel marketing strategy, and looks at digital brands using print to increase reach and credibility. “With 72% of readers influenced by content in magazines, we thought it was time our members had their own publication to spark new dialogue with their customers and prospects,” says Northwood. The VoPP Mag is a bi-annual publication, with over 10,000 distributed across Australia and New Zealand, published in September and March. TSA Limited (TSA) is a not-for-profit industry-funded organisation developing sales and marketing campaigns to promote the paper and print industries. Two Sides is part of a global initiative by companies from the Graphic Communications Industry including Forestry, Pulp, Paper, Inks and Chemicals, Pre Press, Finishing, Publishing, Printing, Envelopes and Postal Operators. In late 1971, a computer engineer named Ray Tomlinson sent the first email message. It was ten letters long (QWERTYUIOP) and he was probably oblivious to the fact that hitting ‘send’ would gain him entry into the history books. Tomlinson’s invention changed the course of communication forever – usurping technology such as the fax. 205 billion emails are sent every day, and this will reach over 246 billion by the end of 2019. Yet, the email hasn’t yet usurped the ‘paper trail’ and truly paperless systems are few and far between. Paper stubbornly remains a feature of our everyday lives. Decades later, the paperless office is being called a ‘30-year old pipe dream’ and the United States Postal Service still processes and delivers 509 million pieces of mail each day. There is no doubt that the reliance on paper is decreasing, but we are still years away from actually achieving the paperless nirvana we were promised. If paper is stubbornly sticking around, what does this mean for other technologies that are supposed to eradicate the problems of the past and deliver to us utopian efficiency and productivity? Is it a harbinger for all things ‘paperless’, such as paperless money? Bitcoin (the world’s first digital currency) claims that it will change finance in the same way the web changed publishing – yet, we have had credit cards for decades, and many still carry cash. Why can’t we let go? What will it take to ‘kill’ analogue systems off once and for all? The tools for going paperless are both accessible and economical; you can easily scan a key document and save it in PDF format; e-books can be downloaded and read through myriad digital devices; and receiving all of your bills via email is a cinch. But while this technology has come a long way, it still has an uphill journey to be truly ‘ready’. Paper does not need reboots, passwords, or charging. Paper notebooks do not ‘crash’. Bic pens are ready to write, whether you have 4G connectivity or not. With paper, there is no system to learn and shortcut keys to memorise. Alexa needs to be plugged in, while Siri, Cortana and Google Now can’t doodle. The transition of paper to electronic document has not solved the issue of content chaos. We are still trying to remember which folder we saved that contract in. When the system fails, which is unpredicted, we easily fall back on paper and legacy paper processes. In addition, the reality for some organisations is that there are multiple touchpoints in the workflow that remain analogue. Coupled to this, many have said that the practicality of paper is hard to beat on project sites; it is disposable, easily replaced and you can edit (using a red pen) as you please. Decades have passed, and the use of paper still feels natural and inherent. Amazon Kindle is an e-reader device that enables users to read e-books, newspapers, magazines and other digital media. Tech developers saw the need to mimic a book in tablet format, but still provide the feeling of reading a book (turning a page, etc). Why was Kindle successful? Because developers placed the users at the heart of the technology experience. We often forget that systems and apps meant for everyone must be designed for everyone. E-signatures and encryption are only useful if the people you want to communicate with have the same tools. The Moleskin Paper Tablet and Pen+ combo, which digitises your handwritten notes and doodles for editing and sharing, is reliant on its smartpen and mobile app to make it work usefully. Microsoft’s Courier Tablet, a book-sized digital journal with a native stylus, held promise as a tool designed for the creative minds, in which architects can sketch building plans or writers can draft documents, but it didn’t catch on – content creation alone wasn’t enough. Many systems and apps fail to benefit those who use them. And for that reason, creative professionals who write, sketch, or prototype by hand still carry cheap notebooks and pens. Until technology can perform like (or better than) paper, we’ll incessantly default to the original. Going paperless is likely to remain a stretch for many and the past decades have taught us that no matter how smart, technology is never ‘absolute’. People will probably be stuffing wads of cash under their mattress for the next 50 years, possibly more. Vinyl records will continue to be played occasionally, and we’ll still see horses and carts on the roads (the queen drives in one every now and then). In reality, we’ll more likely experience a blended future in which new and old systems co-exist. And this will apply to a plethora of new technologies, not just paper, including those such as autonomous vehicles. Collectors may always want to own a ‘self-drive’ vehicle and if that is the case, then we’ll need systems and infrastructure that allow both systems to coexist. Going forward, the ‘fast track’ to the future may literally be one in which the Hyperloop jostles for space among ‘vintage’ Volkswagens, BMWs and Volvos. Look left, and a drone will be delivering a pizza. Look right and you’ll notice someone doing the morning ‘paper-run’. And whilst we all may fantasise about efficient sci-fi future worlds filled with Minority Report holographics, it is likely to be the transition from our current realities to these future enabled utopias where the real engineering challenge will lie. Such are the “Back to the Nature” characteristics of ‘progress’. This glimpse of the future was crafted by: Sam Dungey. Used with permission. Time to Trade Your Tools of the Trade? 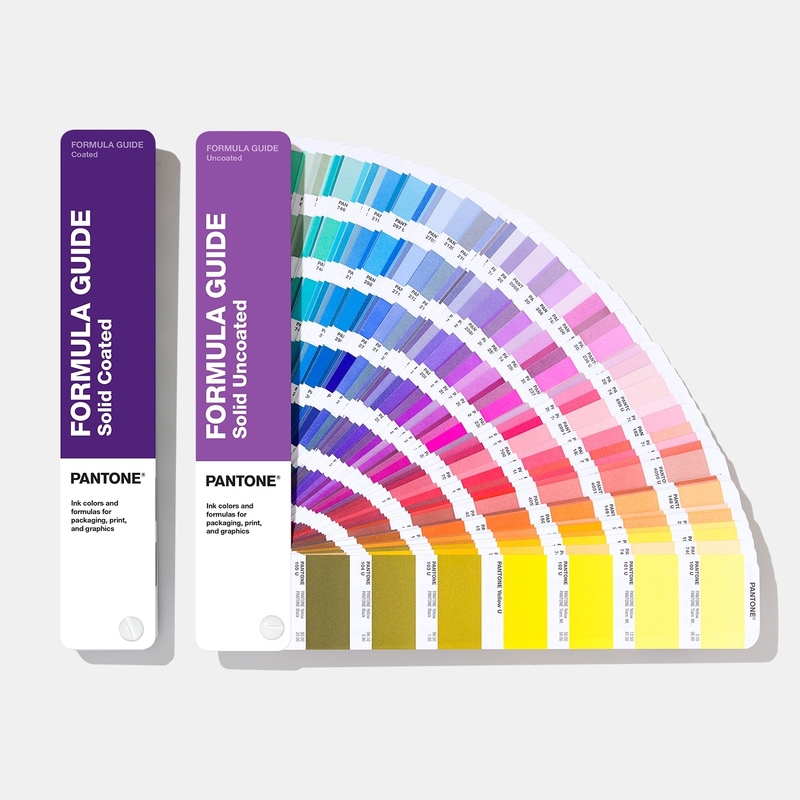 If you haven’t upgraded your Pantone Guides and books for several years, your colors are no longer meeting full market demand nor are they reliably accurate. Pantone guides are arranged chromatically vs. numerically in order to inspire designers and make color ranges easy to locate. AGING EFFECTS: IS MY COLOR THE RIGHT COLOR? However, our guides will not last forever. Due to handling, fading, and aging, your colors will appear inaccurate over time. That’s why we recommend replacing your guides every 12-18 months, depending on your usage case and storage habits. Pantone recommends replacing guides and books every 12-18 months, as normal usage and exposure will render your colors inaccurate. One of the biggest design frustrations is the circle of rework that goes into getting the right color. We’ve all been there. Why is it so challenging? There are many reasons, but an easy one is that your production partners are using old guides. So, if you use Pantone Products to specify or approve colors with your design or production partners, then you might want to encourage them to keep their guides up to date as well (e.g. buy them at the same time). ASK AND YOU SHALL RECEIVE… NEW COLORS! In 2010, Pantone launched the PANTONE PLUS Series publications – a more modern version of the PANTONE MATCHING SYSTEM®. Since then, we have added new colors about every two years. More colors are the single most noted request of Pantone from our design community. We’ve heard you, and why shouldn’t designers want more? Illustrating the present and reading the future, Pantone proudly introduced another 112 new colors in March 2016 to give designers a greater range of expression and freedom. Having the right colors to choose from is essential when making design decisions. Color is the single most important design element in reflecting mood and style. In today’s visual world, creating the right color palette is more crucial to success than ever before. Consumer reaction to color, especially in packaging and consumables, is based on proven psychology. Sending a strategic message with a precise color strategy is critical. A total of 1,867 Solid PANTONE Colors. Colors relevant and expected for contemporary packaging, created in collaboration with major brands. Emphasis on specific color ranges derived from market requests, our community has asked us for colors and we’re responding to meet those popular requests. 112 new ways to be even more creative, inspired and expressive through color. Since we launched the PANTONE PLUS SERIES back in 2010, there have been three color collection additions. Since we launched the PANTONE PLUS SERIES back in 2010, there have been three color collection additions. Check out the chart below – you would be missing over 750 colors! Color guides age, which means you aren’t really seeing the color your designing & referencing Pantone recommends replacing your guide every 12-18 months. Even with updated guides on your end, who knows how long your production partners have been referencing the same guide. Ask your partners to replace their guides every year or send them the color with our solid chip book. Pantone has launched 756 new, market-driven colors since 2010. Check them out! Former PIAA Victoria state secretary Ron Patterson has put his name forward for the PIAA elections and will run against Finsbury Green CEO Peter Orel for the Victoria seat on the board. In Tasmania, former AIW Printing director Peter Clark will contest the ballot against Martin Guilliamse, GM of Mark Media in Hobart. Patterson is a high-profile industry identity and has been a prominent critic of the way the board has been run in recent years following his acrimonious departure from the PIAA in 2012, when his position was declared redundant after a consolidation of operations. He was formerly sales and marketing manager for M&M Binders in Melbourne, where he teamed up with the Todisco family, before leaving early in 2014. Patterson says one of the most important issues facing the board today is the lack of industry training. Tasmanian candidate Martin Guilliamse of Mark Media says if he’s elected he’d like to see the board focus on boosting membership numbers. Guilliamse has been on the Tasmanian regional committee for about 20 years and also served on the PICA/Diemen Award committee. He’s standing against former AIW Printing director Peter Clark (pictured, right), who retired from the web offset company in 2012 but has continued in the industry as a consultant to AIW and other companies in the region. PIAA President, Kieran May, says he’s pleased that the current Board members who sought reappointment have been returned. “We are focused on reinvigorating the association and the industry and the job must continue. As an industry, we cannot forget where we have been, but our eyes must remain firmly on the future. Members in both Tasmania and Victoria now have an opportunity to decide who joins us on the journey. The ballot will officially open tomorrow, 29 September 2016, and close at 10:00 am (AEDT) on Thursday, 27 October 2016. Tech giant HP is facing a consumer backlash over its sudden move to block the use of cheaper third-party ink cartridges in its printers. There are reports that counterfeit ink cartridges are already available to trick the updated HP printers. Consumer advocacy group Choice is investigating whether the company has breached Australian Consumer Laws and the US-based Electronic Frontier Foundation (EFF) has launched a petition calling on HP to restore the original functionality…and make amends for its self-destructing printers. HP implemented updates to the firmware related to the security chip in HP OfficeJet, OfficeJet Pro and OfficeJet Pro X printers that maintains secure communications between the cartridge and the printer. These printers will continue to work with refilled or re-manufactured cartridges with an Original HP security chip. Other cartridges may not function. Choice has begun an investigation to determine whether HP has breached consumer law by preventing consumers from using third-party ink cartridges. Choice compared the numbers on ink costs and found HP’s yellow ink will set you back $5128 per litre – which is more expensive than luxury items like Chanel No 5 ($3514 a litre). “When you consider that HP printer ink can cost around 50% more than some expensive perfumes, this is a black day for ink consumers,” Godfrey says. The EFF – a US nonprofit devoted to defending technological freedom, human rights and privacy in courtrooms, legislatures, and online – accused HP of running a ‘bait and switch’ and launched a petition calling on the company to restore the original functionality of their printers with a firmware update that rolls back the self-destruct sequence. The EFF petition, which has about 9,000 signatures at last count, can be signed here. “HP customers should be able to use the ink of their choosing in their printers for the same reason that Cuisinart customers should be able to choose whose bread goes in their toasters,” says Cory Doctorow, EFF. Auckland cartridge supplier Toner Direct – which sells both manufacturers’ original and third-party consumables online – says it has received many complaints from people ‘jumping up and down’ about the change. MD Trevor Johnston told stuff.co.nz there was an argument that HP was ‘protecting its brand’ and said that there was nothing particularly new in HP’s tactic, which other printer manufacturers had also tried. But he warned that some third-party cartridge makers have already come out with new cartridges which trick the updated printers into thinking they were genuine HP parts. He said the game of cat and mouse between HP and those suppliers could have an impact on customers’ purchasing decisions. Toner Direct’s opinion was that consumers should have choice, he said. Good to see some robust competition for places on the national board of the Printing Industries. It shows a commitment and enthusiasm for the Association to continue its work of representing and improving the printing industry. There are some high profile candidates and some well-known faces. Good also to see the sitting board members elected unopposed. It augers well for the future stability and harmony of the board. Now it’s up to the members to vote, so let’s see a good turnout to support the candidates, no matter who wins. Konica Minolta institutes a National Specialised Print Awards for its customers to recognise excellence in digital printing. The $10,000 prize is for promotions and business development for printers operating Konica Minolta technology. It is designed to recognise the level of printing excellence being produced on digital presses. “We wanted to find some way of awarding the many really excellent prints our representatives see every day. Often they are produced on a Bizhub 1070, which costs around $50,000 that are delivering amazing results,” said David Casarino, National Manager Industrial Print. A brainchild of Anthony Lewis, general manager, production printing, the competition is open to all Australian-based companies, individuals or associations involved in any area of print production that produces the entered print on a Konica Minolta engine. It looks to engage advertising agencies, art and design studios, advertisers and clients, printers, prepress companies and print finishing and paper merchants. Entries for the national competition close on December 16 with state finalists flown to Sydney in February for the award ceremony. An industry panel of experts will judge the entries, looking for printing and finishing excellence. The judges provide the following tips and guidelines for entrants. Good luck! 1. Don’t leave it until the last moment to select your entries for submission. When a suitable job comes in, carefully check during the run and keep some perfect copies for potential entry in the Specialised Print Awards. 2. Supply duplicate copies whenever possible; (to allow for damage in transit etc.) The judges will always check the second copy if a problem appears to be not the printer/print finisher’s error. 3. Consider entering the same entry in more than one category to increase your chances of winning. 4. Ensure good presentation – creased or folded prints do not maximise the appearance of the entry. 5. Fill out all the criteria required on the entry form carefully and accurately, describing the processes that went into the job, (including the Konica Minolta Print System model used) difficulties in production, details of embellishment or specific effects required by the customer. 6. Examine the entire job with a magnifying glass, the Judges will check and re-check before submission. At least two judges will look at every page. • Quality of image preparation and overall design for digital print. • Accuracy of finishing – folding, binding, trimming and assembly. The Judges will also assess the degree of difficulty and the skill required in producing the print job. 1. All entries must have been printed between 1 January 2016 and the 15th of December 2016. 2. Entries need to be delivered to your state Branch, and submitted with your Konica Minolta Account Representative. 3. Entries close at 5pm on Friday the 16th of December 2016. 4. This competition is open to all Australian based companies, individuals or associations involved in any area of print production and that owns a Konica Minolta digital print system and this KM digital print system was used to produce the print work for submission. These companies include, but are not limited to advertising agencies, art and design studios, advertisers and clients, printing companies, pre-press companies, print finishing, paper merchants, or any other person or company associated with the production of digital print using a Konica Minolta digital print System. 5. There is no restriction on the type of stock used. Imported stock, artwork or photographs from overseas sources are acceptable, however PRINTING AND FINISHING MUST BE PRODUCED IN AUSTRALIA. In the case of graphic design categories, all graphic design must have been completed in its entirety in Australia. 6. An official online entry form must be completed for each entry with involvement from your sales account representative. Please supply typed or clearly written details. Forms must be fully completed and make recognition of all contributing sources, with accurate spelling as the details submitted on the entry will be used as copy for the award book and certificates. The committee accepts no responsibility for any inaccuracies in the details submitted. 7. A minimum of two (2) samples of each entry are required! These samples should be entered together with the entry form attached to one sample via paper clip or similar. Digital components of entries should be submitted via the web page link. Please write any web page links clearly on the entry form. 8. All entries will be retained by Konica Minolta Business Solutions Australia (KMBSA). However, if you do require your entry to be returned, this must be noted on the entry form, and pick-up arranged. After the date of the 3rd February 2017, all entries that have not been picked up, will become the property of Konica Minolta Business Solutions Australia (KMBSA). 9. Entries of value should be insured by the entrant. 10. Entries will be restricted to three entries per category, per company. Companies may enter as many categories as they choose. In the event a company enters more than this number in a single category, the panel of judges will determine which three should go onto the main judging in that category, or will reassign entries to a different category if applicable. 11. The Judging Committee’s decision will be final. 12. Where a duplicate entry of the same item is entered into the same category by different entrants, priority will be given to the printer’s entry (in printing categories) or graphic designer (in graphic design categories). 13. Your entry form must specify a category in which to enter the piece. An entry may be re-categorised at the Chief Judge’s discretion. 14. In the event of low entry numbers in a particular category, the entries from that category may be combined into another suitable category. 15. Entries, regardless of category or format, that promote any organisation within the scope of the printing industry, or which feature the printing company or entrant’s name as a prominent feature of the entry, will be classified as “self-promotion”. 16. There will be one winner per state or territory who will be invited to attend the Konica Minolta National Specialised Print Awards event in Sydney. State Finalist package will include return economy airfares to Sydney from their home state or territory, one night accommodation and transfers to be arranged by Konica Minolta. The overall winner will be announced at this event and will receive a $10,000AUD advertising package which includes creative and media using Konica Minolta Australia nominated agencies. Valid for 6 months. An official online entry form must be completed for each entry. Section A of the entry form is used to catalogue all entries and is not shown to the judges. Attach Section A to your entry with a paper clip or similar. Section B is for technical details to be considered by the judges. Ensure you do not have your business name or any identifying information written on this section. Securely affix Section B to the back of your entry. Adelaide’s Reflex Printing upgraded to a new Horizon Collating and Finishing line just in time to begin its new multi-million-dollar printing contract with the SA government. Horizon VAC-1000A Main Ten Bin Tower. “It’s been here for about four weeks now and has been excellent in terms of speed and quality,” says Frankcom. “It allows us to do a lot of tricky jobs trouble free and it underlines the importance of upgrading your equipment if you want to keep up with the market. Reflex Printing, which employs 20 staff at its plant in O’Connor Court, Gepps Cross, is now in good shape to begin a new multi-million-dollar printing contract with an unnamed SA government agency that begins on October 1, 2016. Currie Group MD Bernie Robinson says the Horizon collating and finishing line will give Reflex a number of advantages over its previous equipment. Robinson says it’s the third or fourth finishing line that Currie has installed in South Australia recently. “We’ve had a fair bit of business in Adelaide for quite a while now, including the big PMP installation, and things are going pretty good. “Mark negotiated a very good deal that includes a 12-month warranty on parts and labour and he’s happy with the way the Horizon is performing,” says Robinson. Reflex & Adelaide Digital Printing, a South Australian-owned company established in 1988, specialises in commercial and digital printing, print management, graphic design and web development, pre-press and print finishing. Bauer Media Group recorded sales of EUR 2.316 billion in fiscal year 2015, with the group’s magazine business making the greatest contribution. Europe’s largest magazine publisher generated total global sales of EUR 1.689 billion in its Print business during 2015. Magazine sales accounted for EUR 1.292 billion of the total. The company’s radio business achieved the strongest growth – after acquisitions in Scandinavia and the UK – with sales up 38% to EUR 320 million. Sales outside Germany accounted for 65.6 percent of total turnover – a slight increase on the previous year . Bauer Media Group is active in 20 countries and sells 1.3 billion magazines around the world. In Australia, Bauer publishes 60 magazines including The Australian Women’s Weekly, Woman’s Day and TV Week. The company has shut down several underperforming titles including Women’s Fitness, Madison and ZooWeekly. The Colour Doctor – David Crowther of Colour Graphic Services – has brought back the free Colour Health Check service – valued at $495 – for all printers, until October 31st. First offered at Printex 2015, it proved very popular, especially with wide format, digital and offset printers experiencing colour variations. “We did many of these during and after Printex and I was looking for something to offer the market so thought, ‘Why not bring them back for free?’ It’s easy for an offset, digital, flexo label or wide format printer to initiate. We send a special test forme, or control strip, which is printed on the selected device and sent back to us. “Using ISO 12647 as the benchmark, we thoroughly analyse the printed result using Mellow Colour Printspec and Techkon instruments and produce a detailed report on the results and where colour issues might be found in the production workflow. For Colour Graphic Services to visit a printer, produce the test forme, measure, report usually costs $495 in the Sydney metro area, so the free service is a good saving and provides printers with useful knowledge about their printing output devices. The more we learn about environmental accountability, the more we realise that this is a massively complex topic. Everywhere we see clever ideas for improving the sustainability of the graphics industry, yet equally we see evidence of how far we have yet to go. How we progress as an industry, depends on how well we encourage companies to appreciate their environmental aspects, those things in the business likely to have an environmental impact. Only then can business owners and their customers start considering ways to make improvements. And this brings us to an interesting point: how does one quantify environmental aspects and impacts? The obvious answer is to do a Life Cycle Analysis, but what should the basis of such an analysis be? Is it the business, its products, its manufacturing processes? Where do you start? These questions take us into the realm of eco labels, which are awarded to confirm that a company meets strict environmental criteria. In order to be certified to a label such as the Nordic Swan or the Blue Angel, a full audit of every aspect of the business is required. To achieve certification, the company has to be able to prove that it meets strict and prescribed environmental requirements, requirements specified by the eco label authority and owner. In the case of print for example, the Nordic Swan label can only be applied to printed matter that Nordic Swan says has “environmentally-friendly properties”. So far so vague. The other difficulty for graphics professionals is that going for an eco label is extremely expensive. There is a massive industry underlying the quantification of environmental impacts and the certification of compliance to a particular label. This is part of the reason for scepticism on the part of printing company owners, that combined with a lack of alternatives. Printing and publishing professionals do not have tools to help them achieve eco label criteria. There are no documents explaining what they need to know about their business in order to qualify for an eco label. We see the need for some sort of environmental declaration specific to graphics technologies and graphics production. Such a framework document would define the data requirements for assessing the environment impact of the organisation and of its products. The document would also outline the aspects of prepress, printing, post-press and process control that need to be considered, plus their environmental impacts. The document would also outline requirements for data accuracy, allocation, certainty, transparency, and so on. This tool would not specify how data should be collected, but rather what data should be gathered. Once collected, organised and fully reported, the data for an environmental declaration could be used as part of an eco labeling evaluation. This ought to encourage the graphics to further improve its environmental impact, and at a lower cost. The development of printing technology shows no sign of slowing down. Just when we’re coming to terms with new ways of printing, such as nanotechnology with its very thin ink coverage, along comes something else to compete. The arrival of Canon’s UVgel has an air of expectation about it. Inkjet and gel just naturally go together, the clever part is in the material technology that makes the coverage so thin it can slash the cost of wide format printing by up to 40%. It’s early days of course, but the bar has just been raised, or rather lowered. It sets the scene for other manufacturers to match the Canon performance. Welcome to your latest issue of Print21, the primary news and information service for the printing industry across Australia and New Zealand. More than 2000 industry types from Australia and New Zealand made the trip to Düsseldorf in May for the world’s largest printing trade show. This is in line with attendance at previous shows. In a Post Show Report, Sabine Geldermann, director drupa, confirmed that of the more than 260,000 industry visitors to the Dusseldorf Messe, Australian and Oceania made up one percent. It appears the urge to travel and inspect new printing technologies is still strong in Australian and New Zealand printers, despite a drop of almost 20% in the total visitors to the show. In a typically upbeat review of the show, the organisers said there were 1,828 exhibitors from 54 countries with the printing and packaging sectors understandably leading the way. Visitors came from 183 countries with 75% coming from outside Germany. Organisers maintain the investment climate was much better than in the previous shows with a reported 65% of visitors indicating they had concrete intentions of buying new equipment. Despite the show being billed as the inkjet and digital drupa, the main market focus was still fairly traditional. When calculating visitor responses the organisers found sheetfed offset printing was top of mind with 54 percent of visitors nominating it as their primary area of interest above the 53 percent that said digital print including inkjet. Web-fed offset followed with 17%, ahead of flexography at 16%. Despite the intense publicity around Benny Landa’s Nanography, only three percent of visitors nominated it as their major interest. Even as the drupa organisers promoted the show’s new positioning with a focus on topics it considers to have growth potential, such as 3-D and functional printing, it seems the printing industry is focused on proven offset and digital technologies. The next drupa is already on the drawing boards, locked in for June 23-July 3 2020.